I enjoy spending my money on home decor more than anything else. Well, not anything else. Cookies trump that list. But lets be real, cookies trump most lists. Now back to home goods. I discovered H&M Home Decor a few months back and I can’t say enough good things. My first go around, I ordered a few copper votives, a copper wire basket & a copper jar. Can you tell I like me some copper home decor?! I loved everything I ordered and it was all under $40! 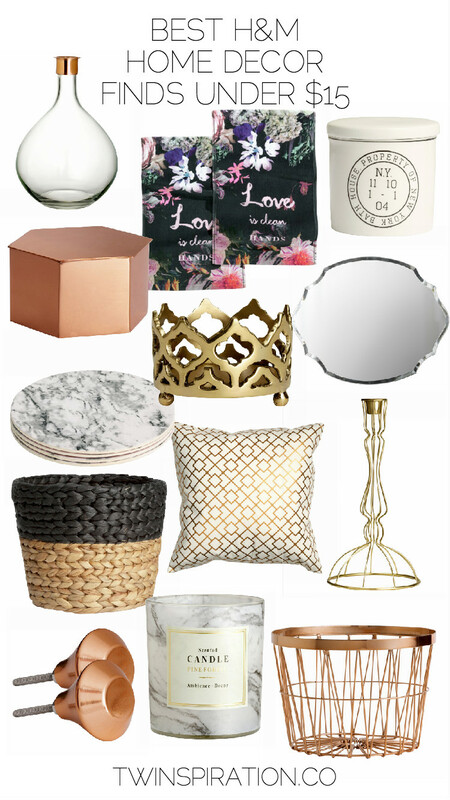 I checked the site recently and fell in love with most of their decor items, I had to share my favorites with you all! I know! I’ve ordered home stuff from there before and every time I got back on the site, I want so much more!